We’ve done the work for you! Are you looking for a charming Florence hotel? We’ve got them here! Not too many, just a small but perfect selection of apartments, and wonderful retreats for a getaway in Florence. 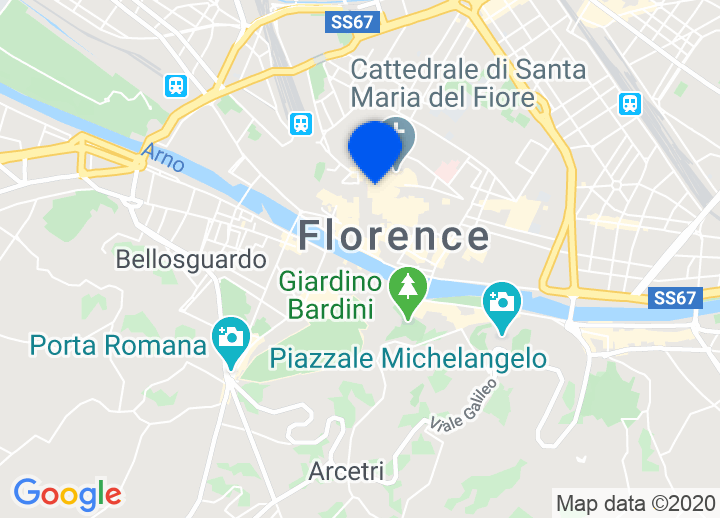 Before all of that, though, we wanted to provide a short introduction to Florence itself as well as a few top tips for things to do in this wonderful city. Florence has preserved its masterpieces and great works of architecture over the centuries. The most important collection of paintings in the world is offered by the Uffizi Gallery; visitors can enter the very interesting Designs and Print Room; the collection of self-portraits. Great paintings can be seen in the Gallery of Palazzo Pitti, with Tiziano’s and Raffaello’s masterpieces. Florence also has the Museum of the Costume and the Museum of the Carriages; the beautiful Italian gardens can be admired in the Giardino di Boboli. In the Museum of the Opera del Duomo one of Michelangelo’s "Pietà" can be admired. Then, there are the Bargello museum and the Accademia with the original of David. Activities You should have a few ideas by now of what to do and where to go. Florence is ideal for exploring – it is completely flat and cars are banished from almost all of the city centre so wander in undisturbed peace. If you want to take a day trip, Pisa is easily reached by train, Siena by coach and local buses drive up to Fiesole, a beautiful town above Florence with a wonderfully preserved Roman theatre. Rome too is easy to get to – just one and a half hours on the Eurostar. You are in a very beautiful city in the centre of a very beautiful country, enjoy it! For an Italian interested in eating, Florence means meat. The huge Bistecca alla Fiorentina is considered by Italians to top the list for those enamoured with steak. The lampredotto which we mentioned above is part of the cucina popolare – good, solid, energizing food but most importantly, cheap and hence favoured by the working class a few hundred years back. This and other, similar, dishes have worked their way into the collective imagination of Florentine cuisine. Two other examples of these traditionally poor dishes are panzanella and pappa al pomodoro both vegetarian options. Despite their humble origins they are wonderfully refreshing and perfect for the summer. Both are based around tomatoes and bread, the panzanella is in fact a salad of bread – sounds strange but throw in plenty of those wonderful Italian tomatoes (are they the only country that still produces tomatoes that taste like tomatoes? ), garlic, extra virgin olive oil, a dash of vinegar, some onion, plenty of fresh basil and chunks of 2-day old bread and it’s a winner. Pappa al pomodoro is not too dissimilar in its origins but the ingredients are thrown into a pan and sweated down together with some carrot and celery. The bread is soaked in water, drained well and then added to the rest of the ingredients. Often served cold in the summer it’s light and full of Mediterranean flavours.